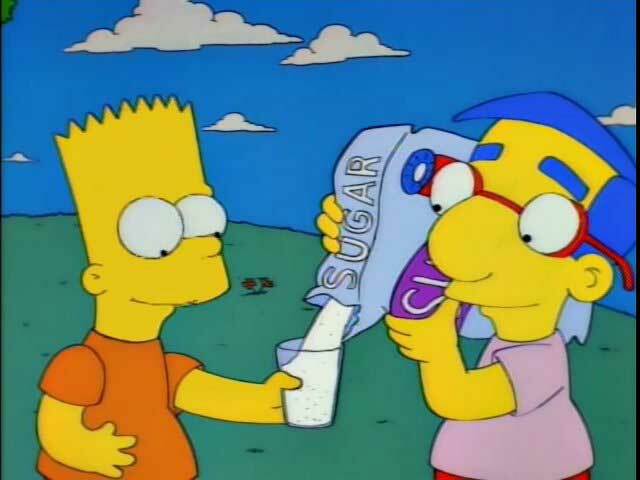 Bart: Hey, Milhouse, how’s the lemonade business? 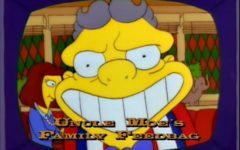 Milhouse: It’s clearly booming, Bart. 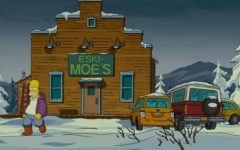 Lisa: I don’t even want any. I just bought a pity glass. George Bush: This is my wife, Barbara. Call her Bar. Would you like some lemonade? 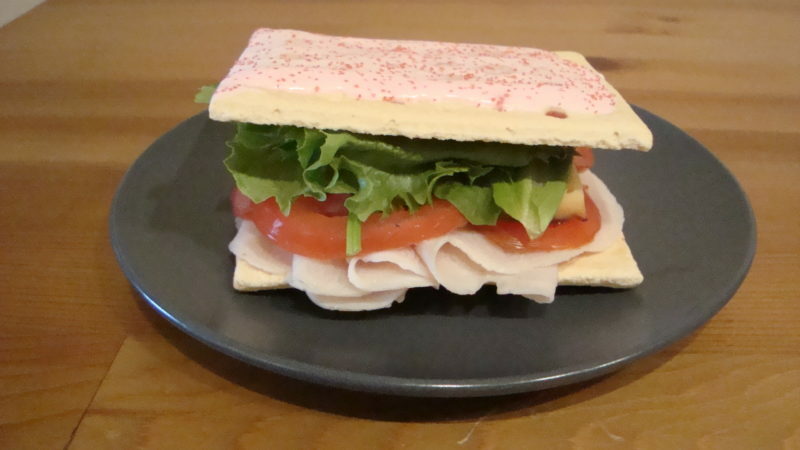 Both: Fine and dandy like sour candy! 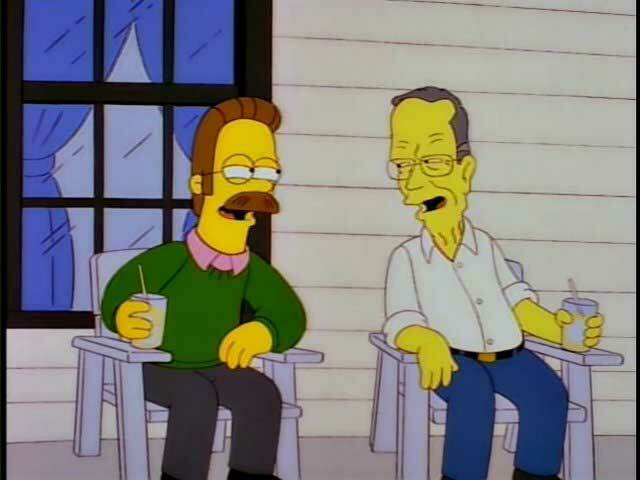 George: Bar’s a whiz with cold drinks, aren’t you, Bar? Don’t understand lemonade myself, not my forte. 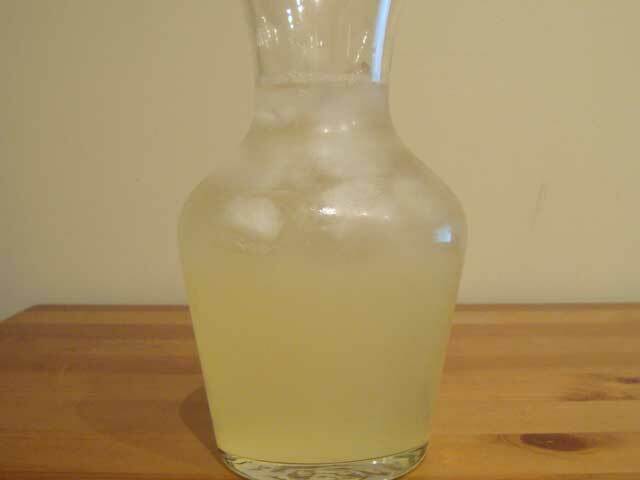 Bar’s lemonade is described as being like sour candy, so that means it needs to be both sour and sweet. If the lemonade is too sweet it’s hard to drink too much and if it’s too sour it’s going to hurt your stomach. Balance is key! Or maybe I could also make some Astro-lemonade instead. What precisely makes it Astro? Look, I don’t want to start a whole thing with this…All right, enough quotes – let’s get to the recipe. 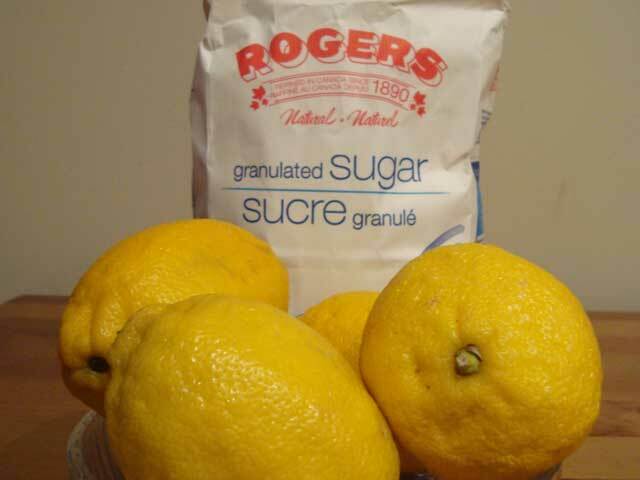 Make a simple syrup by combining 1/2 cup of sugar and water. Stir and gently boil for 5-10 minutes depending on how concentrated you want the syrup; then allow to cool. Juice the lemons and strain the lemon juice to make sure there isn’t any seeds or excess pulp. Combine lemon juice, simple syrup, and water. Serve on ice. 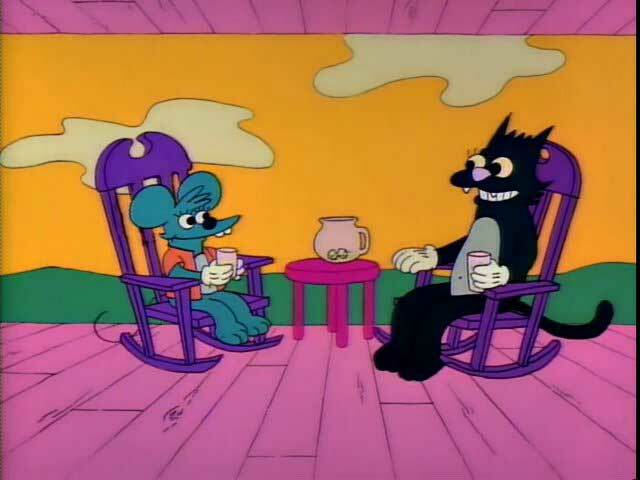 Itchy: You make really good lemonade, Scratchy. Scratchy: Oh, thank you, Itchy. 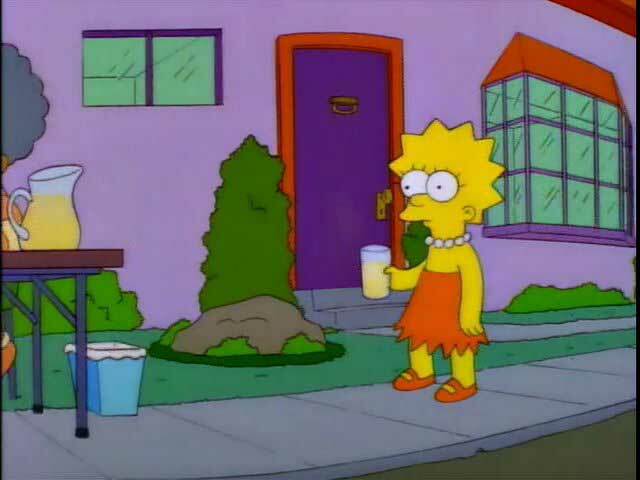 I debated whether or not I should make the “lemonade” that Bart and Milhouse make at the end of Lemon of Troy. But pouring a few drops of lemon juice into a glass and then adding a LOT of sugar is less of a drink and more of a site gag. Making that drink seems kind of stupid, but perhaps you, oh reasonable reader, are stupidier like a fox which I guess means you can do whatever you like. Oh no! You’ve squozen your whole supply! 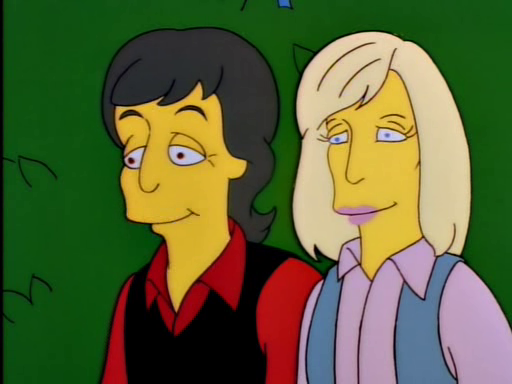 To the lemon tree! …I’m fairly confident it’s actually NOT haunted. 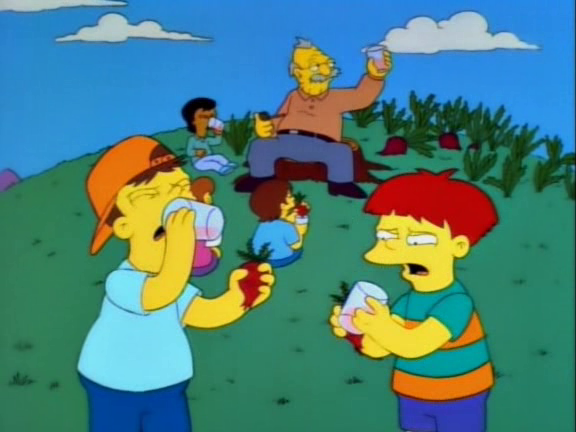 You got your lemonade, but where’s the shuttlecock? Come on, Ron. 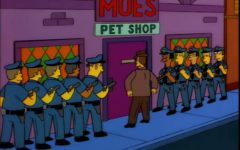 We’re not wanted here. I Have a “To Do” Pile?! 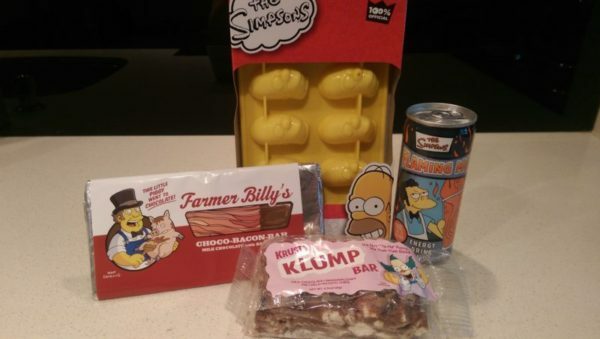 Nuts and Gum – Together at Last!